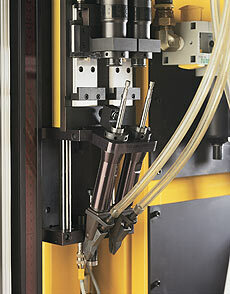 Rotary Indexing Screwdriver | Automatic Machine to Feed & Drive Fasteners from Visumatic. 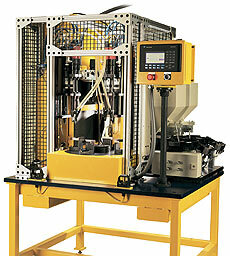 Application: Simultaneously drives multiple locations, fasteners, and target torque. Operator load or conveyor lift and locate components. Staying competitive in your industry means producing a higher quality product at a lower cost. Visumatic delivers complete turn-key systems right to your door. This indexer with at least two double spindle Power Drivers comes ready to produce. We ship it. You plug it in. High Quality. Turn-key. To Specifications.